Owning a home in Red Oak, TX means you probably also have a garage included. A garage is a great extension of your house and can have multiple uses, besides serving for your car’s parking. 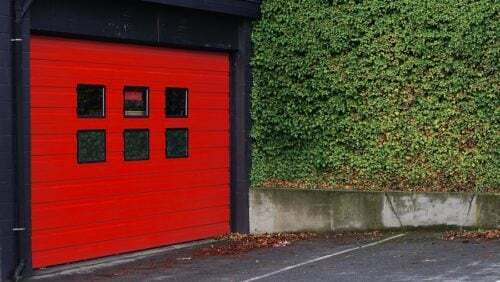 None of it matters if your garage door isn’t functioning perfectly, as it should. It’s time to let you in on some garage door saving information, that can make your home complete again. There is someone to rely on for garage door repair in Red Oak TX, and their name is Veteran Garage Door. Veteran offers a large variety of services, with a solution to every problem that might occur with your garage door. Veteran’s team is ready and mobile with a fleet of well-equipped service vehicles available 24/7. The company provides same day service, and it is not just fast but also offers top quality services and solutions. Among the variety of services we offer for the benefit of your garage door you will find: bent tracks repair, noisy garage door repair, opener repair, door off track repair and many more services for every problem you might have. For garage door cable problems we have: broken roller replacement, capacitor replacement, gear sprocket replacement, sensor repair and all other services you can expect for garage door repair in Red Oak TX. Veteran also provides services to improve your garage door’s function and for your quality of life. For example, you can have a smartphone control system for your garage door installed in your garage and on your smartphone. We have the ability to fix every problem that your garage door might have, and our service includes giving you an initial free estimate and advice on what should be done. When contacting Veteran Garage Door, you don’t get only a service. 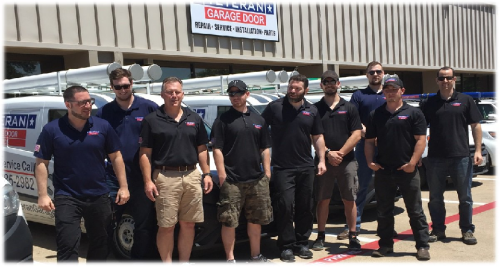 Our team will be glad to provide any kind of garage door repair service you need, with a smile on their face. Veteran’s workers love what they do, and everyone in need of garage door repair in Red Oak TX can be assured their garage doors are in good hands.